May your salvation, O Lord, be ever with us. Amen. Just imagine we only had the original Gospel of Mark in our NT bible. That�d be a pretty frill--less Easter celebration, don�t you think? Now, even in the original version of Mark though you still have the empty tomb and the promise that the disciples will meet up with Jesus again. 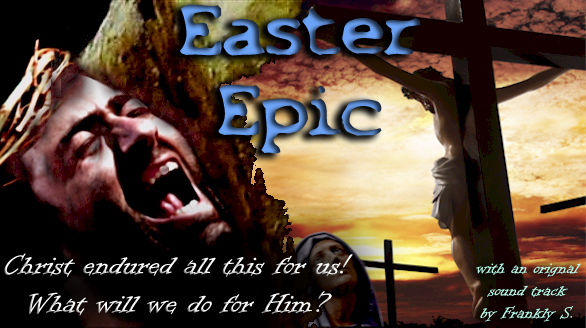 But, this whole thing made me ponder an interesting question: what if Jesus hadn�t risen from the dead? Would it still be possible to believe in him as our Savior? What would it be like to talk about a Savior who died and didn�t rise from the dead in a physical sense? Well, I suppose there are religions whose founders did die and didn�t rise from the grave, like Mohamed and Moses, and these religions still live on. I guess, a belief in the physical resurrection of Jesus is not absolutely necessary for the theology of salvation through the cross�Christ could have still died an atoning death for your and my sins--forgiveness of sins and reconciliation with God would still be in place even without a belief in the resurrection. But would the Christian message still be the same? No, I�m sure there�d be something missing. Had Jesus not been raised from the dead, he would have been defeated by the evil powers of this world. The victory would be on the side of Evil, on the side of the corrupt Sanhedrin, and on the side of the gruesome Roman oppressors. 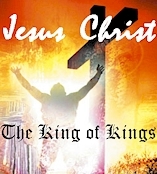 How could we sing �Victory in Jesus,� had he not been raised from the dead? Clearly, a messiah that was condemned by the highest court, a messiah executed by the state -- crucified in shame and agony, does not a victory story make. Click here to subscribe now and gain instant access to these resources plus an ENTIRE YEAR of weekly resources for only 39.95!! 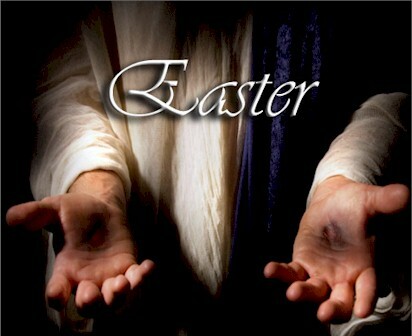 Advertising Network: a campaign has been developed to attract people to church during the season of Easter. In this public relations campaign, it is suggested that the cross removed from the alter. According to the author, a survey has revealed that the cross is one of those symbols that the new generation of church goers considered too "churchy "
One pastor interviewed for the campaign gave his whole hearted endorsement. "We are going to attempt to concentrate on the resurrection, and not the death of Jesus. Easter without the cross. Rather an interesting thought. Kind of like the sun without light, The oceans without water, Or forests without trees. It just doesn�t seem to work. The road to the empty tomb will forever pass by a cross. As the sun begins to rise this morning, Perhaps we might celebrate not only the resurrection, But the lengths to which our God was willing to go in order that We, the lost, might be redeemed. Our God was willing to go to the cross for us. Without the risk of losing one�s life, The willingness to suffer, The humility to carry a cross, The resurrection loses its meaning. Many people have different theories and beliefs about the cross. However, there is one thing that does remain consistent about it� It is impossible to ignore, And wherever it is lifted up, people do respond.